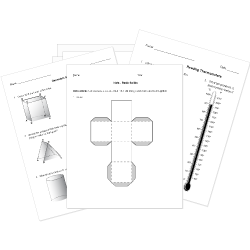 You can create printable tests and worksheets from these Grade 10 Angles questions! Select one or more questions using the checkboxes above each question. Then click the add selected questions to a test button before moving to another page. An angle that measures exactly 90 degrees. An angle that measures between 0 and 90 degrees. What is the definition of supplementary angles? What angle is complimentary to [math]32 deg[/math]? What is the total amount of degrees when you sum the interior angles of a triangle? An angle measuring 180 degrees. [math]ang[/math]ABC is bisected by BD. If the measure of [math]ang[/math] ABC is 67[math]deg[/math], What is the Measure of [math]ang[/math] DBA? The sum of the measures of the angles in any triangle is 180 degrees. In triangle ABC, angles A and B have the same measures, while angle C is 57 degrees larger than the other two angles. 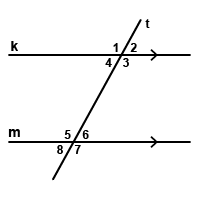 Find the measure of angle C.
Two intersecting lines form 4 angles, one of which is [math]60 deg[/math]. What are the measures of the remaining angles? Choose the correct missing statement from step 3. Given the two intersecting lines and the four resulting angles, prove that [math]ang2 ~=ang 4[/math]. 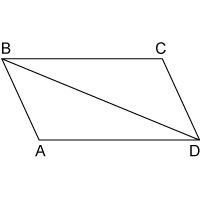 Angles that share a common endpoint (vertex) and a common side (they are side by side). [math]ang1 and ang7[/math] are what kind of angle pair? True or False: Vertical Angles are always congruent. Angles that have the same (equal) measures.